I ran this calculation for a real project. It is based on a requirement of 300 Amp Hours of useable capacity. 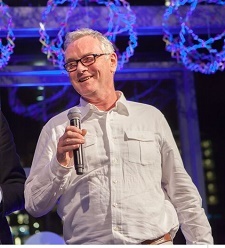 The aim is to compare the cost of an AGM system and a Victron Lithium Ion system. I am rounding my numbers off for clarity. The prices are based on December 2017 going rates. The Lithium batteries have some incidental costs of control equipment, normally in the region of $250-500. Both battery systems could use monitoring equipment, inverters, and all the other parts that go with batteries. The Lithium battery system is more expensive, no surprise there. If you go for the compact Lithium system and discharge them 80% they end up being 37% more expensive. If you go for long life and discharge them 50% they end up being only 2.5% more expensive. In each case of course the Lithium batteries have a higher up front cost. Its a bit harder to quantify the performance premium associated with Lithium batteries. The weight will be from 50-75% of a comparable AGM bank and the Volume reduction is comparable also. Speed of charge and discharge if vastly increased, the voltage output of Lithium when used as described will always be 12.5 volts or above. Reserve capacity: The lithium bank has greater reserve capacity because it will still be above 12 volts until almost the very end, the AGM battery reserve capacity is less useful as the voltage gets below 12 volts at 60% discharge. 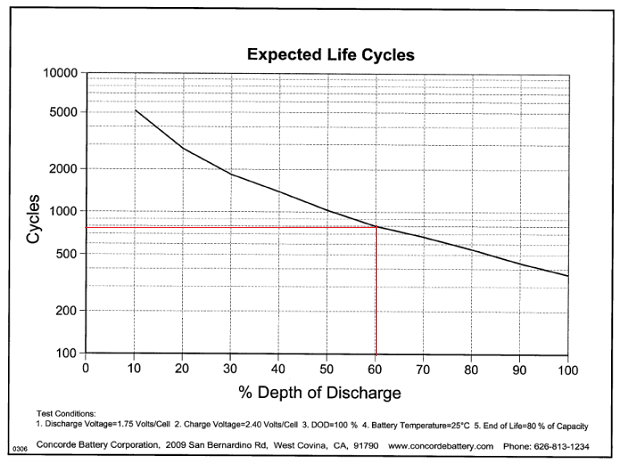 The life expectancy of an AGM battery depends on how deeply it is discharged. The definition of an empty battery for an AGM is when it has reached 10.5 volts. Since this isn't a useful voltage to run sensitive equipment a more meaningful number might be when the battery gets down to 12 volts, which would be 60% discharge. 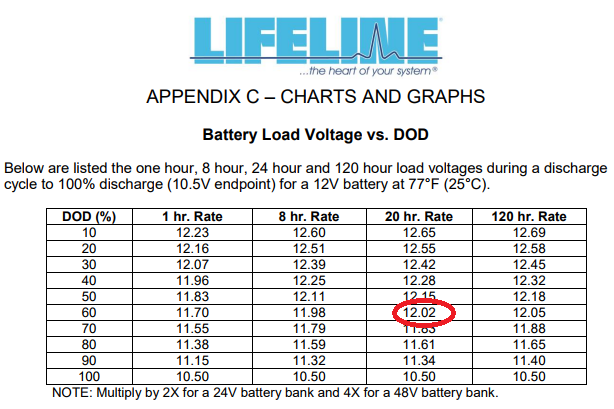 I took this from the Lifeline Battery Technical Manual and used the 20 hour discharge rate as shown in the table below.